In the run-up to the 7th BRICS leaders Summit to be hosted by Russia, Foreign Minister Sergey Lavrov will attend an event in Moscow on Saturday to outline priorities for Russia within the group of five. Russia’s National Committee on BRICS research is organizing a forum to discuss trade and a “fair world order”. 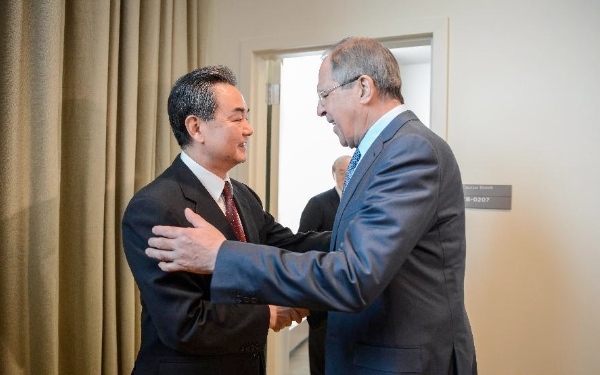 Lavrov will speak at the event on Saturday on the “future of BRICS-born institutions” said an official statement. The biggest emerging markets are uniting to tackle under-development and currency volatility with setting up of institutions that encroach on the roles of the World Bank and International Monetary Fund. They have already announced the launch of a $100 billion BRICS Development Bank and a $100 billion currency reserve fund. A BRICS Network University is also in the offing. Russian President Vladimir Putin had in 2014 also proposed the countries come together under an energy alliance that will include a fuel reserve, as well as an institute for energy policy. A formal announcement on the BRICS Energy association is expected to be made during the BRICS Summit in Russia in July, Russian official sources said. Leaders of the five global powers will gather in the Russian town of Ufa on 8-9 July seeking to pin down further consolidation of political and economic ties. The BRICS nations have called for an overhaul of management of the World Bank and IMF and oppose the practice of their respective presidents being drawn from the US and Europe.